If you are moving to Glasgow or within the city itself, hiring a removal company will be incredibly beneficial. Other than transporting your items, there are several different services that can make your move much easier to handle. 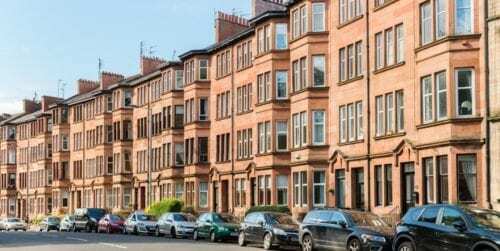 Keep on reading to learn more about moving to Glasgow, the price of removals, and the advantages of professional removers for your move to the city. Since Glasgow is a major economic and cultural hub not only for Scotland but for the UK, congestion problems are natural. Having some of the country’s busiest roads, Glasgow can be a nightmare to navigate, especially during peak commuting hours. Keep this in mind when planning for your moving day. If your moving company charges by the hour, any time spent in traffic could drive up your expenses. Chart out a congestion-free route or be sure to have enough space in your budget to cover these unexpected costs. Here are average prices for local and long-distance Glasgow moves. In a crowded city like Glasgow, parking will be an issue. Local authorities heavily controls who can or cannot park in certain areas, limiting space. If your movers receive a parking ticket, they will pass down the costs to you, adding unexpected expenses to your already tight budget. That is why it is in your best interest to apply for a parking permit, suspension, or dispensation with your local city council well in advance. Each council sets fees and notification limits, so visit their website to find exact details. For any move in and around Glasgow, a removal company will be able to help. Have a simple, straightforward move by hiring professional movers to deal with the required tasks. The best way to narrow down your list of companies is to request multiple non-binding quotes for free. In just 1 minute, you will receive up to 6 price offers from removal companies in Glasgow. Glasgow is the largest city in Scotland and the fourth largest in the UK. With a population of just over 600,000, it is a lively cosmopolitan area sitting on the banks of the River Clyde. In and amongst the bustling streets, there are numerous parks and green spaces, so much so that Glasgow is also known as Dear Green Place! Often carrying an image of a grey concrete landscape, that is a thing of a past—Glasgow is now a rejuvenated city with 32% of its area covered in greenspace. Full of fascinating architecture, museums, food scene, and nightlife, Glasgow is a wonderful place to live. Although prices in Glasgow are higher than most places in the UK, the cost of living is lower than the main cities of London, Manchester, Edinburgh, and Bristol. The average salary in Glasgow is £27,425, much lower than London’s £34,762. The weather in Glasgow changes quite a lot. Being situated in the north, winters are long and wet with temperatures dropping to single digits. Spring is characterised by mild temperatures while summer days start off cool and usually end up sunny and warm, with an average of 20°C. 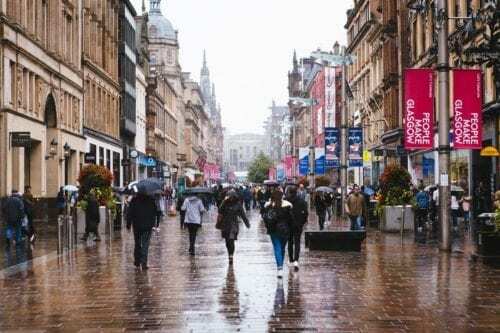 It rains often in Scotland’s largest city, at an average of 170 days a year, so be prepared with warm, waterproof clothing and your trusty umbrella. Public transport in Glasgow is highly developed and very convenient. There is a comprehensive bus, rail, and underground network. Additionally, there are just over 301 km of cycle lanes, making it a perfect city for your bike commute. Very appropriate as the city suffers from major congestion problems—expect a 30% increase in extra travel time if travelling on peak hours—and 3 of Scotland’s busiest roads are in Glasgow! With a monthly pass of £48, take advantage of the public transport system rather than suffer through traffic. We know that moving house is a chaotic time that you probably want to make much easier. The best way is to be fully prepared and proactive. One of the first things you should arrange for is to register for council tax. Before you move, take a look at the council tax rate you will pay. Also, the payment procedure will change depending on where you live so check with your local city council—usually, you are able to pay online, through direct debit payments, bank transfers, or credit card. 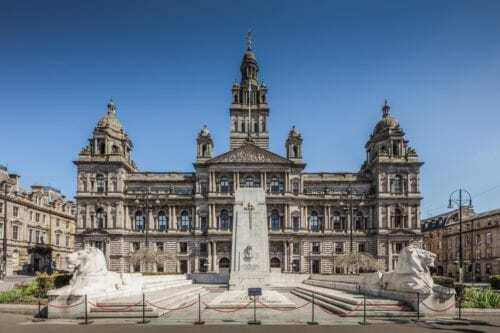 For example, the Glasgow city council states that you will receive a bill in the mail or you can access your details through their online portal. Another thing you should look at well in advance is the schedule for rubbish collection in your neighbourhood. Most local city council websites have a postcode checker to find out which day your rubbish will be collected. Knowing this beforehand means that once you have moved into your new house in Glasgow, you’ll clean your home quickly and efficiently. While moving, it is common to have large unwanted things such as furniture or broken items. As such, you should know the procedure of bulky item disposal. There are recycling or reuse centres located throughout the city which will accept these large items. Alternatively, you can arrange for a Bulky Waste Collection with the city; the Glasgow city council charges a minimum of £65 for the first 30 minutes, then £32.50 in 15 minute increments. 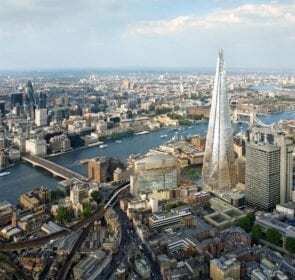 Removals Glasgow: What’s the point? Moving management: Removers will assist with planning and organising any and all aspects of your move.With further services such as packing, cleaning, and admin, you can have a customised moving package that will look after you and any requests you might have. Your own personal driver (sort of): Driving through hectic and unfamiliar streets on your own only slows you down and adds a few gray hairs!Instead, a moving company will act as your personal driver, navigating the busy road network to get you to your new home as quickly and smoothly as possible. Safety for you and your family: A reliable removal company provides specialised training to its movers, meaning that they have the knowledge and expertise to properly handle your prized possessions.You also don’t have to risk your own safety by leaving the heavy lifting to the movers! Also, extensive insurance coverage is available to make you feel more at ease. Glasgow has plenty to offer—a relatively low cost of living, plenty of parks, a vibrant centre full of museums, and great variety of food offers. If you are eager to experience life in Scotland’s biggest city, start preparing for the big move! Research your removal company options thoroughly—send a no-obligation, free quote request in under 1 minute. Soon reliable, local moving companies will get back to you with their best offers, and you will benefit from savings of up to 40%.